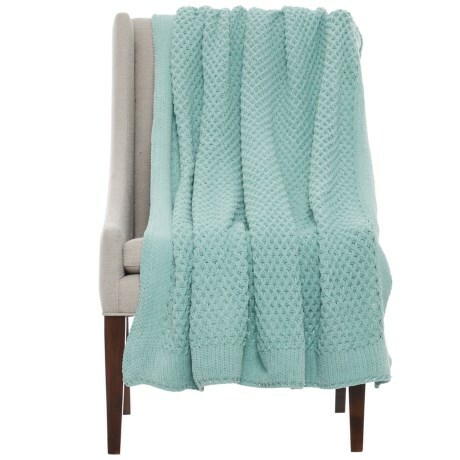 Chunky Honeycomb Throw Blanket - 50x60? CLOSEOUTS. As pretty as it is functional, Artisan De Luxeand#39;s Chunky Honeycomb throw blanket is fashioned from silky-soft chenille yarns for plush, cozy comfort on frost-laden nights. Available Colors: HARBOR GREY, NAVY, IVORY, WITHERED ROSE, YELLOW.